Today on my Dear Science show on 95.0 bFM radio we have a special feature on weird microbiology stories that are making the headlines this week. You can listen to the podcast here. 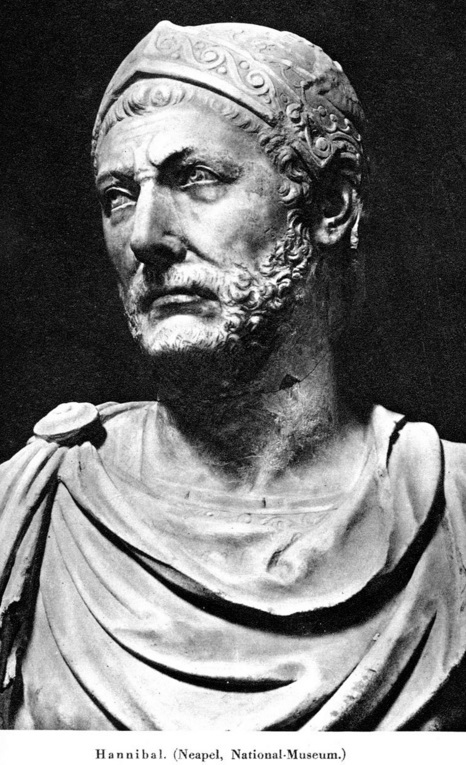 Let’s start with a history lesson: Hannibal was Commander in Chief of the Carthaginian army during their war with Rome in the 3rdcentury BC; Carthage was a city state in what is now Tunisia and was at the time Rome’s main rival. Hannibal pulled off what is seen as one the greatest military strategies of the ancient world. He marched his entire army of 30,000 troops, 15,000 horses and 37 elephants over the Alps to fight the Romans in their own backyard. After several victories he ultimately lost the war in 202BC but he is still viewed as a bold and clever tactician. The route he took over the Alps has been the subject of fierce debate – but now poo microbes may have the answer! A recent upheaval in a 3,000m altitude Alpine pass called Col de Traversette revealed a 1 metre thick muddy soil which was indicative of animal traffic, and was dated to the time of Hannibal’s famous march. A team from Queen’s University Belfast sequenced microbes in this soil, and found an unusually large signature (over 70% of taxa) were from Clostridia bacteria of the type associated with horse dung. Soils in the surrounding region did not show this ‘spike’ in poo-related bacteria, thus suggesting the find was indeed an ancient track used by a large number of animals –possibly Hannibal’s army. It has often been suggested Hannibal took a more direct route across the Alps so this was a quite surprising find. The implication is that Hannibal took this longer and more challenging route over the Alps, so why? One theory is that he was considering the element of surprise, and also rather keen to avoid meeting Gauls (think Asterix and Obelix here!) who might have attacked him had he taken an alternative and more commonly travelled route on his way to meet the Romans. Future studies are planning to identify parasites of humans and animals in the poo to add further insight and confirm the theory. There is much debate over whether Mars could support life, both now and in the past. While most scientists agree that Mars surface today is unlikely to support life (although I do not discount isolated refuges for cryptic microbes within rocks), there is a certain level of agreement that during it’s history Mars had abundant liquid water on it’s surface and was therefore possibly habitable – so life could have thrived as recently as five million years ago. Now an exciting new analysis by US scientists suggests another more ancient window of habitability may have occurred in Mars’ distant past. A multi-institutional team were inspired by the sight of microbial life around geothermal features in Yellowstone National Park (USA) to hypothesize that ancient impact craters on Mars may have provided conditions for life. During a period about 3.9 billion years ago a phase known as the ‘late bombardment’ showered Mars (and earth’s) surface with asteroids. These impacts bought water and organic compounds that are essential building blocks for life, but may have also had a wider role in the genesis of life – by creating residual heat in craters that melted sub-surface ice on Mars and created conditions for life. The science team propose that this liquid water could have created geothermal features similar to those observed in the terraces and pools at Yellowstone – and also here in Aotearoa, where striking orange, green and yellow colours are the result of heat-loving thermophillic microorganisms. So does this mean Mars had a long history of habitability? Sadly this is unlikely. Any heating from asteroid impact was calculated to have created a warming period that only lasted two million years at most – and this is just the blink of an eye for the evolution of life! Did dinosaurs suffer with malaria? Dinosaurs dominated the Earth for millions of years from the Triassic (approx. 230mya) through the Jurassic and up until the end of the Cretaceous period (approx.. 65mya). They famously became extinct after this and asteroid impact is one theory that explains this. BUT the dinosaurs were actually in decline before this mass extinction, and new findings suggest malaria may be one reason for this! Most of us know malaria is a disease that affects humans, it is caused by a parasite called Plasmodium that has a mosquito vector, and it kills over 400,000 people every year. Many scientists view malaria as a modern disease and estimates for origin of malaria vary from 15,000 years ago to 8 million years ago. A new study greatly increases our estimates for the age of this disease, and suggests malaria could even have infected dinosaurs! A famous husband and wife micro-paleontology team (the Dr’s Poinar) at Oregon State have discovered evidence for malaria-like parasites in fossils over 100 million years old and this smashes their earlier discovery of 20 million year old Plasmodium preserved in semi-precious stones. These older fossils were found in midge-like organisms rather than mosquitos, but these may nevertheless have been vectors for a malaria-like parasite. The study highlights an interesting point – that disease can be a strong driver of evolution. Recent human history illustrates this: There is strong evidence that the fall of ancient China and the Roman Empire were both partly due to pandemic malaria infections. The dating of these newly discovered yet ancient microbes suggests a malaria-like disease could also have played a role in the demise of dinosaurs!